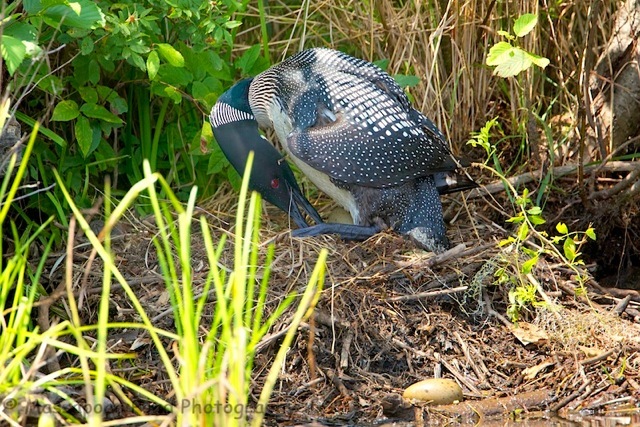 Evening folks…this was one of the loon nesting behavior photographs I was looking to get this week. Just like every other nesting bird, loons roll the eggs during the incubation period for even heat on the egg. This pair started with two eggs, but discarded one egg sometime between Tuesday morning and Wednesday morning. I spoke with a MassFish and Wildlife Biologist yesterday afternoon and apparently they can sense if the egg is viable and if not they discard the egg. The discarded egg is visible at the base of the nest close to the water. I also notified the Loon Preservation Committee of NH about the egg for retrieval of the non-viable egg. 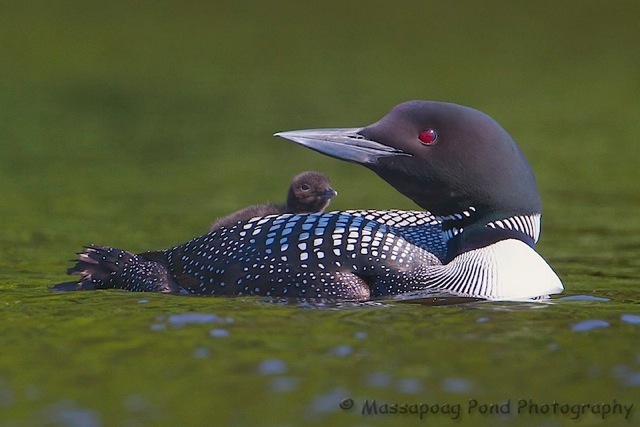 The folks at MassFish and Wildlife along with Tuffs are also collecting loon eggs that don't hatch to try and figure out what went wrong during the incubation period. 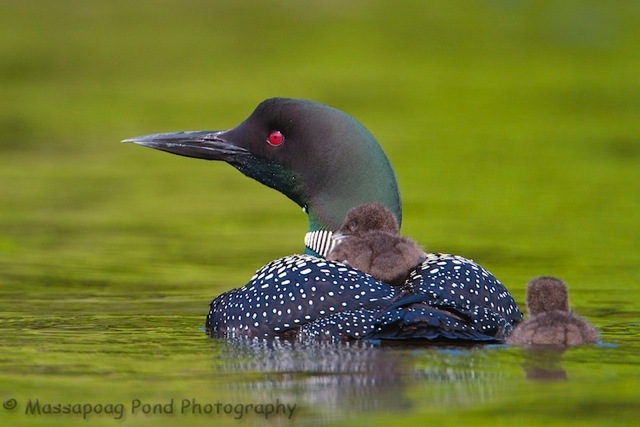 Evening folks…as a followup to last nights post, Common Loons are the best know parents to carry young on their backs. But certain ducks, such as Common Mergansers as Rick Libbey stated and some Grebes also young their young around as well. I have seen all of the above but only have photographed Loons.